After adding the team is where the fun begins! Now, you can begin collaborating with your team on the project. Add team members to join you on the project. 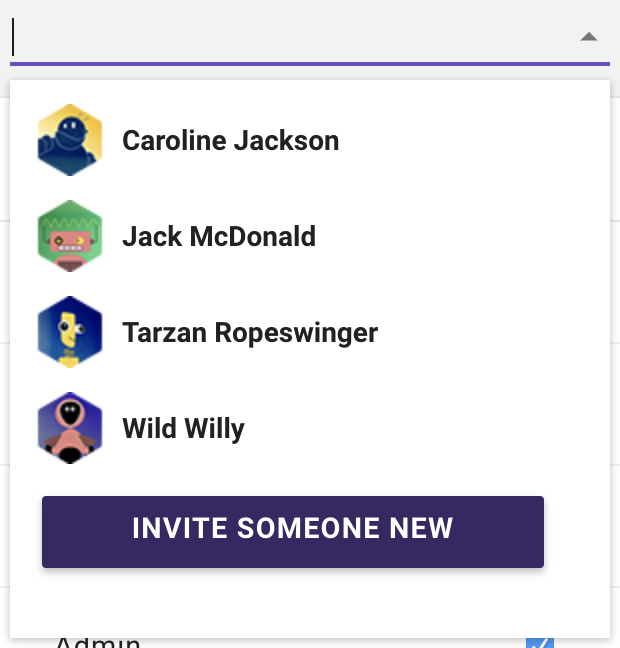 If the person is not yet added to your organization: Use the Invite Someone New button to add new people to the organization directly from within this view. 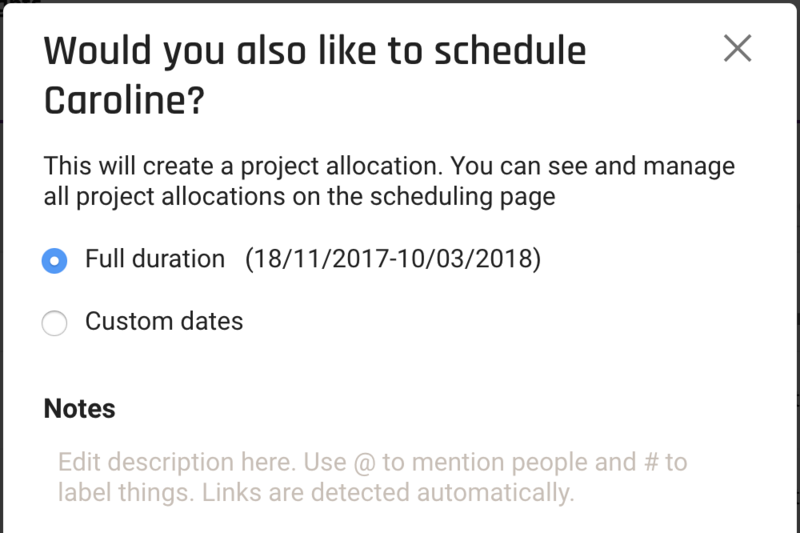 Step 4: Select whether you also want to schedule the person for the full duration of the project (i.e. project start- and end dates), or for a custom time frame.